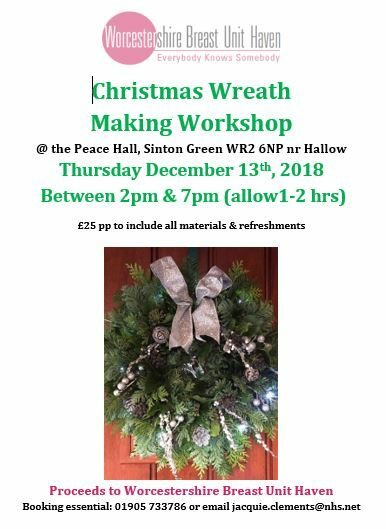 Join us for a festive afternoon of Christmas Wreath Making. £25pp to include all materials and refreshments. Proceeds to WBUH Charity.